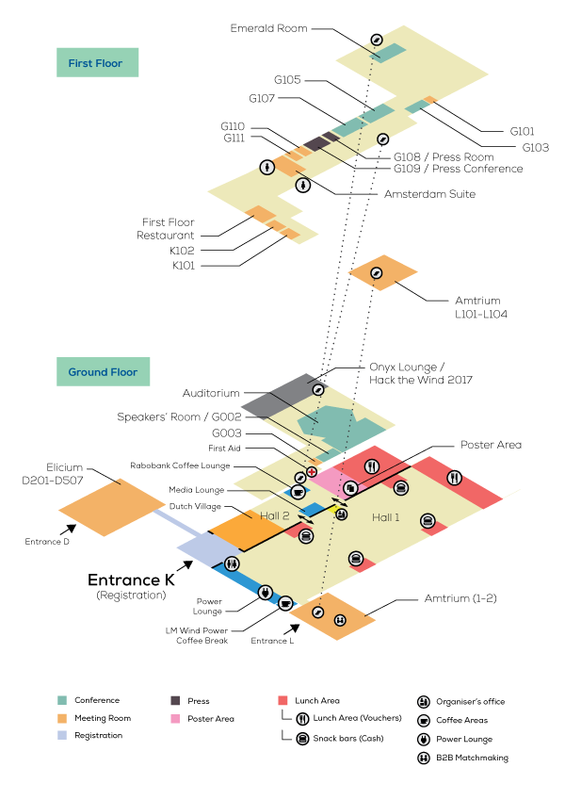 RAI Amsterdam is easy to reach by both public transport or by car and has ample parking facilities on site. When you arrive to the RAI, make sure to walk to/get dropped off at Entrance K, the official event entrance. 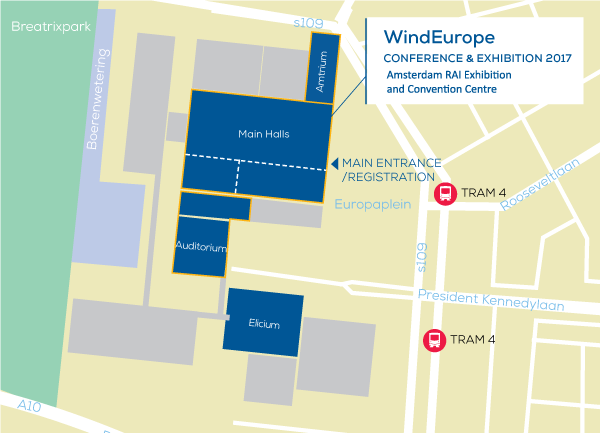 If coming from Schiphol airport you can take a sprinter train directly to Amsterdam RAI station, which is adjacent to the exhibition centre, about 300m walk away. The train comes frequently and the trip takes 15 minutes in total – RAI is the second stop from Schiphol just after Amsterdam Zuid station. Follow the signs to RAI Amsterdam when you leave the station. To get between Amsterdam centre and the RAI there is metro line 51 or tram line 4, both of which stop at central station. The journey from Amsterdam Centraal Station – RAI takes 20 minutes with the Metro 51 (disembark at Station RAI) or 30 minutes with the Tram 4 (disembark at Europaplein). Directly on approaching Amsterdam via the motorway A1, A2 or A4 and entering the ring road (A10), the RAI is indicated on the sign boards. RAI Amsterdam is located alongside the ring road (exit 9). From the exit the route to the car parks is indicated. A taxi to/from RAI –> city centre should cost about €25 (25 min ride).